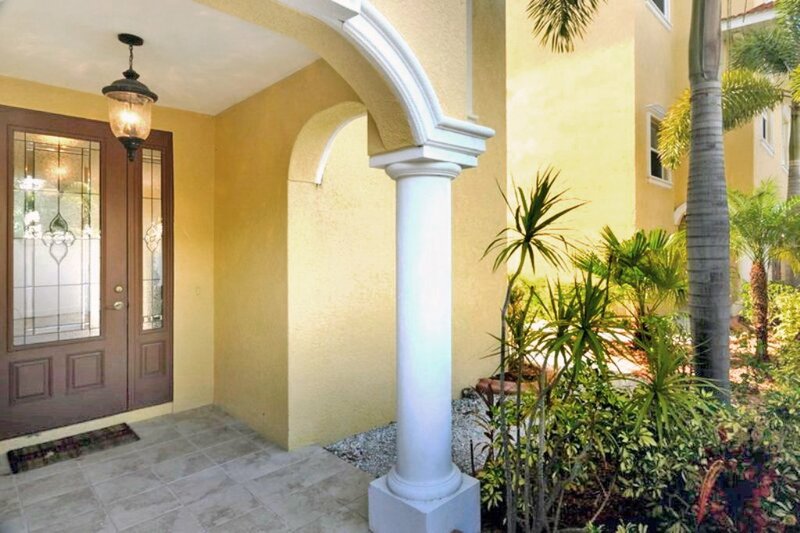 If you are searching for luxury in your Island vacation, this home is your dream come true. 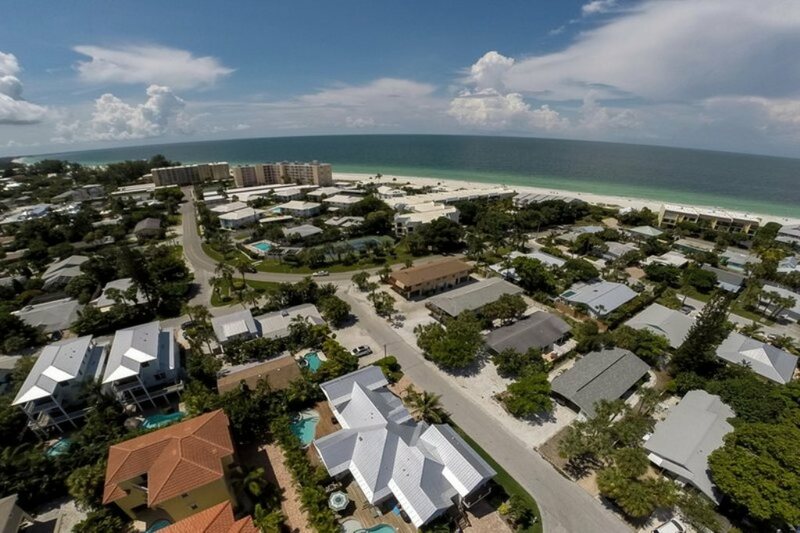 Tucked away on a quiet street on Anna Maria Island, this Mediterranean-style Townhouse is your perfect family vacation destination. 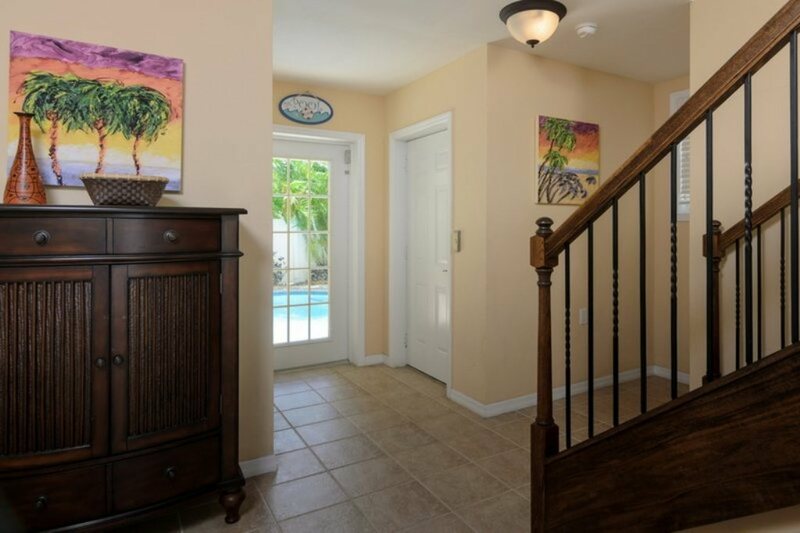 This lovely home is located only one and a half blocks from white sand beaches and gorgeous sunsets, or just a few steps to your own private heated pool and patio oasis. You will enjoy hours of outdoor fun in the shaded poolside lounge area. 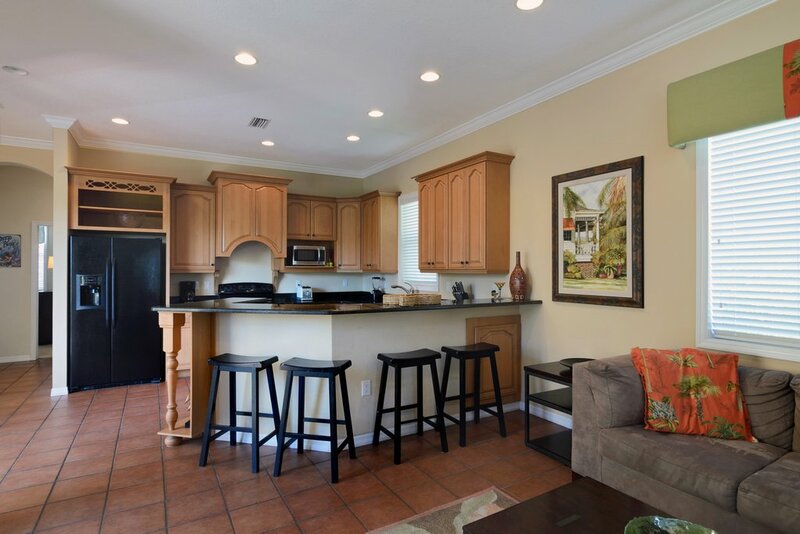 Grill by the pool and enjoy the outdoor wet bar, mini fridge, and full bathroom with shower. The bright and airy entrance on the main level invites you upstairs to the dining area with vaulted ceilings and the open living space. 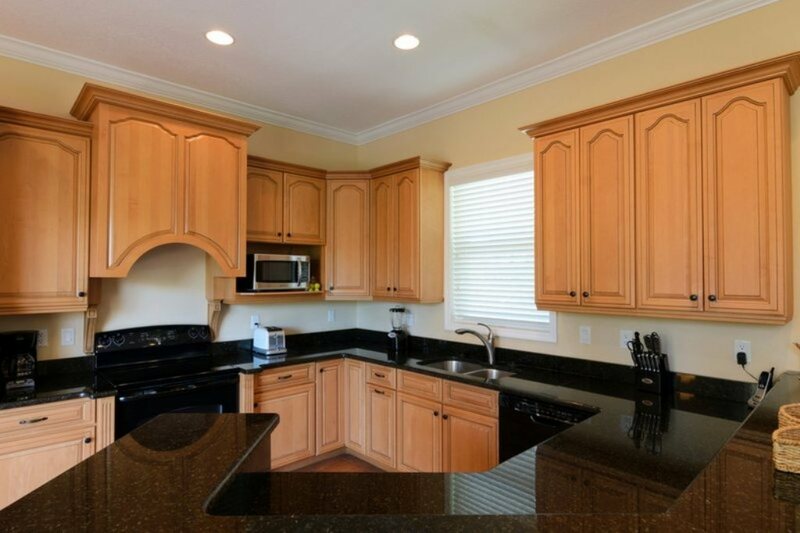 The kitchen hosts updated appliances and granite countertops with ceramic flooring throughout that leads from a snack bar to sectional seating in the living room. The view overlooks the pool with balcony seating for coffee or cocktails. 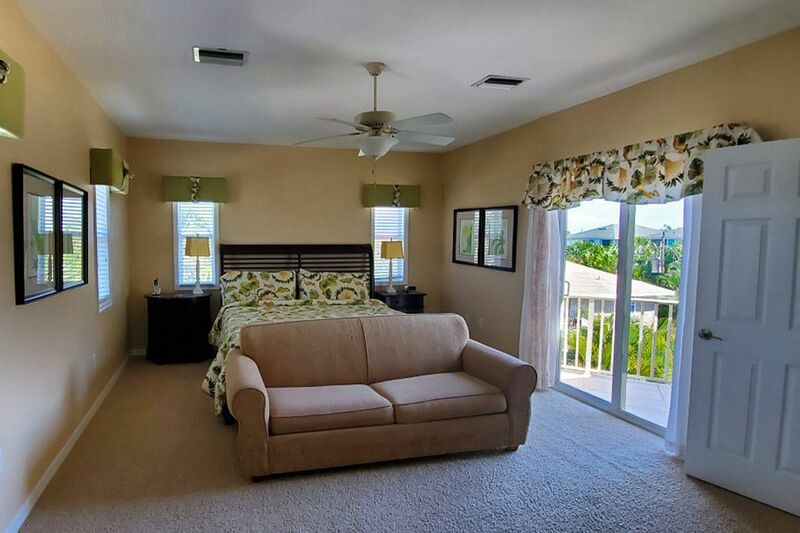 The third level opens into the luxurious carpeted Master Bedroom. Feel like royalty in this enormous suite with a king bed, lounging area with sofa, and flat panel TV. 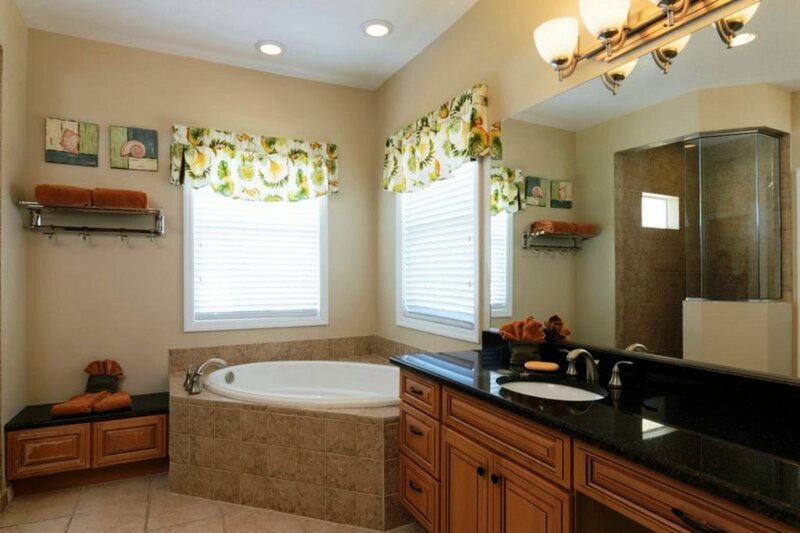 Soothe your cares away in the garden tub or walk-in shower. 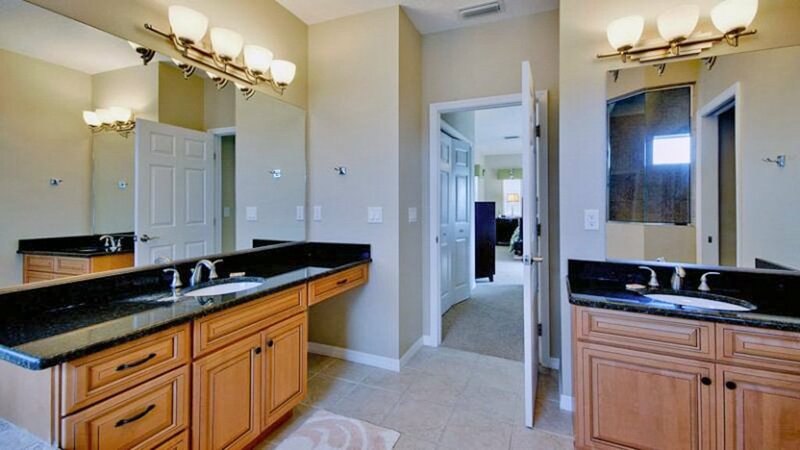 The spacious floor plan has double sinks and separate toilet room. 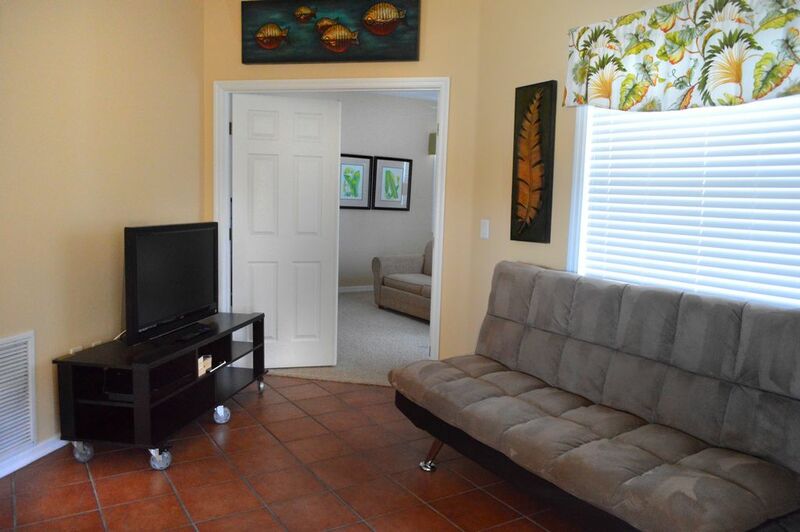 Off of the master is an extra TV room with a futon for extra sleeping space. 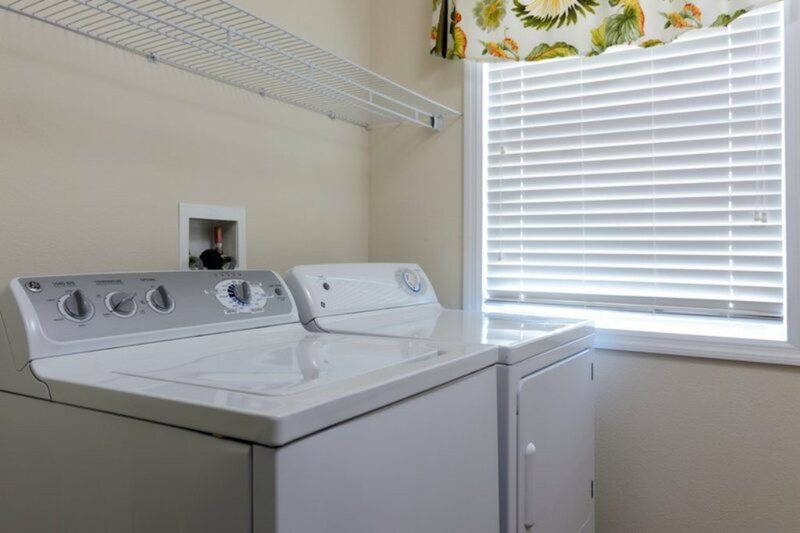 For your convenience there is a full-size laundry room on this floor as well. The main level includes a bedroom with a queen bed, a bedroom with a twin bed and a bunk bed, and a full bathroom. 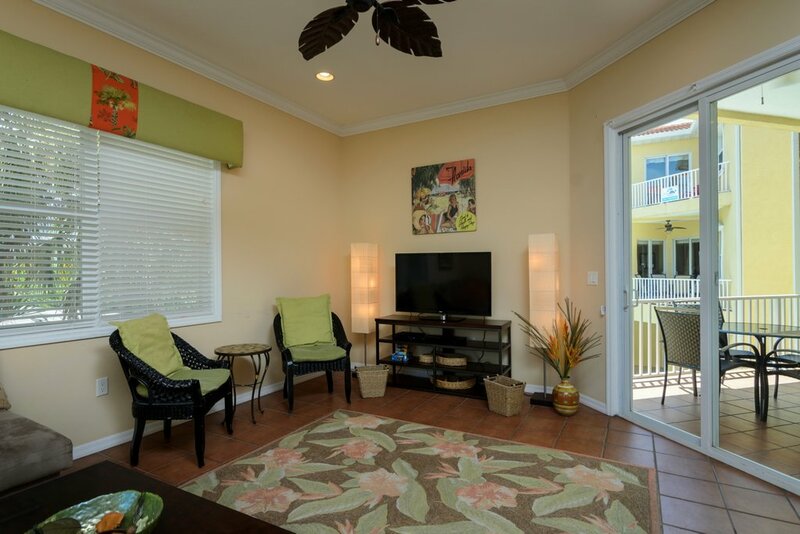 There is a TV with cable and wireless internet to enjoy. For additional sleeping space for up to 4 more, use the provided futon and sleeper sofa. Additional $500.00 deposit is required to gain access to the Elevator and refunded upon inspection. 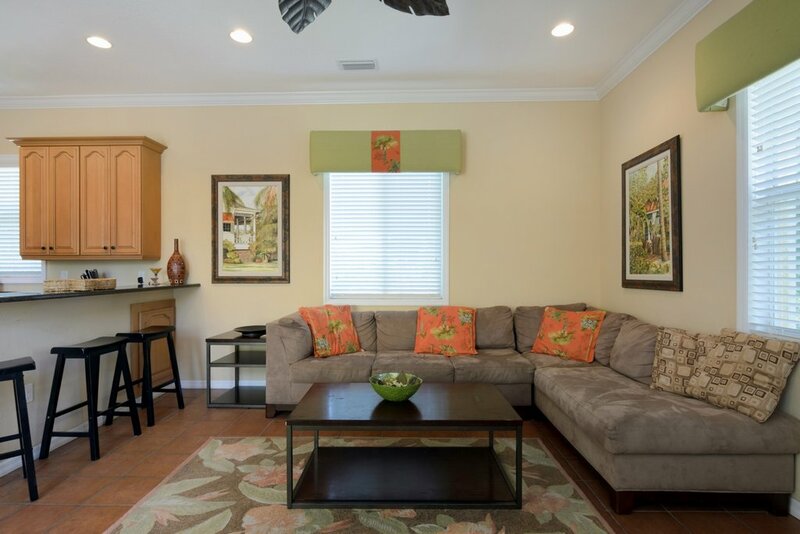 Carissa Villa 203 is a sister house with the same amenities. If you have a large family, book both and have plenty of room! Each unit includes a 2-stall garage. The house was perfect for our three generations to stay together for the week. Kitchen well appointed with cookware and dishes. 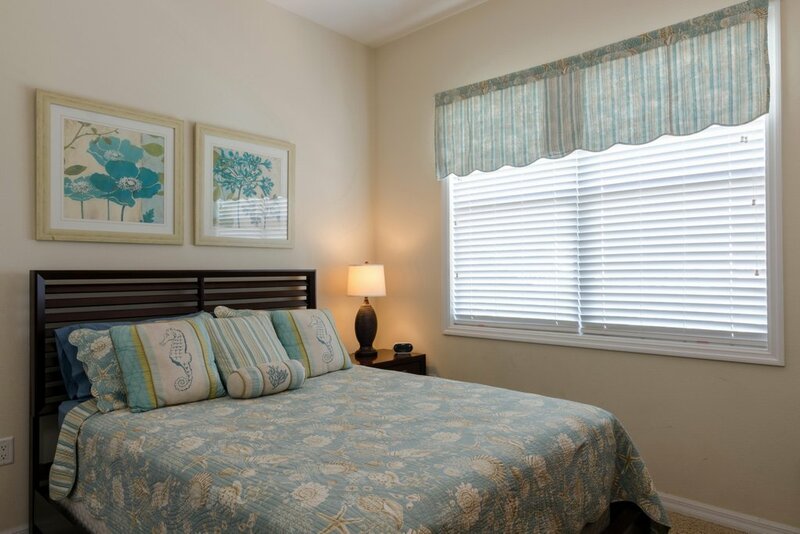 Master suite was very nice and we LOVED the backyard with outdoor kitchen and bathroom by the private pool. Red tide arrived at AMI on the same day we arrived so pool time saved the week for us! Rental company was awesomely responsive - handled a request in less than an hour after we called! 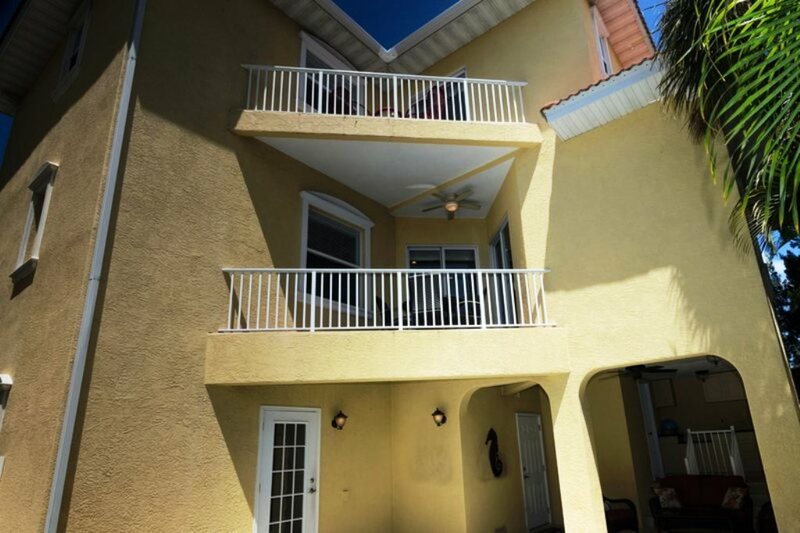 Great location mid-island with very short stroll to beach access! Would return to this house again! This house was beautiful and immaculate! My family and I enjoyed are time, and loved the beach. Property was in a good location. The grandkids loved the pool and beach. 5 Stars. The layout was perfect for our family. The house was well stocked with plenty of bath towels and beach towels! 7/8/17 John M.
We stayed on AMI the last week of December. Our house had an elevator which we used as one of our party is in a wheel chair. The house was within walking distance to town and the beach so we didn't need to get in the car all the time. The house had a master suite on the 3rd floor which was used by my sister-in-law, husband and child while we took the 2 bedrooms on the 2nd. It was very comfortable for 2 sets of parents and 2 children. Swimming pool was a nice touch with its own outside kitchen, bath and shower! 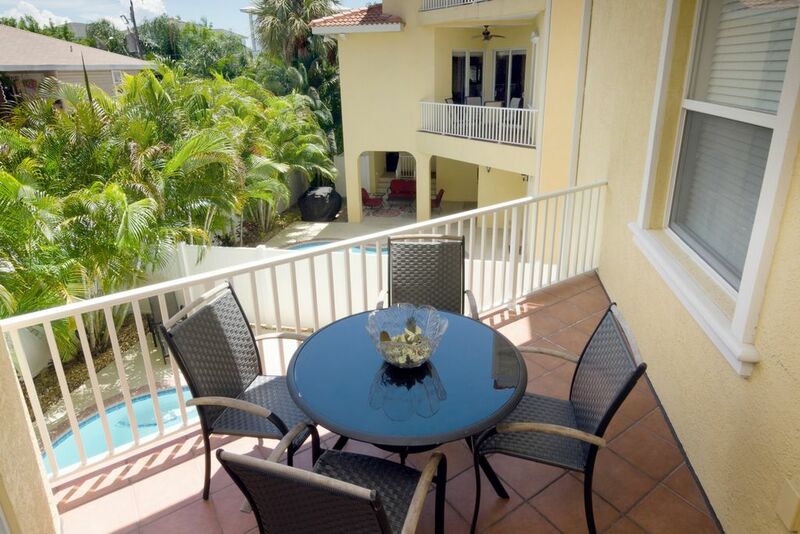 Our family of 7 enjoyed this well kept home, we loved the private pool, grill and elevator. Also, a short walk to beautiful beaches, restaurants and shops. About 1 hour from Tampa airport, Busch Gardens and not too much futher to Disney. This was our 3rd year at Carissa Villa 201 and we have already booked for next year. Everything about the house is perfect, from the house itself to the location to working through aMI Coastal Cottages. What stands out the most is that "it feels like home". It is warm and welcoming. The only thing I would change is that we would never have to leave. We have been gone 2 days and are already counting the days until next year.